Two guys, a girl, and a steak house. An old old friend's annual trip to London means that the three of us, my husband, him, and I catch up for a massive help-i-can't-move-anymore meal at a restaurant that I pick. Why do I get to choose? They couldn't be bothered where we're going so long as the portions are large and meaty, and well, I have a list I'd like to check off. So Hawksmoor it was. It found it's way into my list when I came across an Instagram photograph that recommended their creamed spinach very highly. 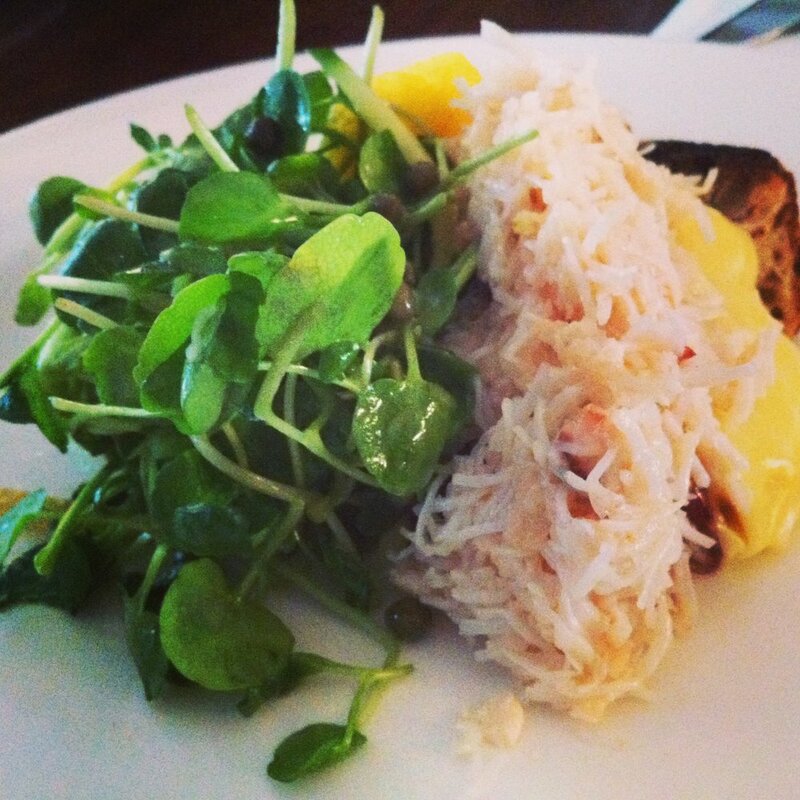 For starters, Brixham crab on toast with mayonnaise. Juicy shredded crab meat, crunchy salad, a dollop of mayo and crusty bread. Loved it. Then some Royal bream baked in paper with garlic, rosemary and chili. Whole garlic perfectly roasted, tender fish that just falls apart beneath your cutlery, herbs and the tiniest hint of lemon. Gorgeous. 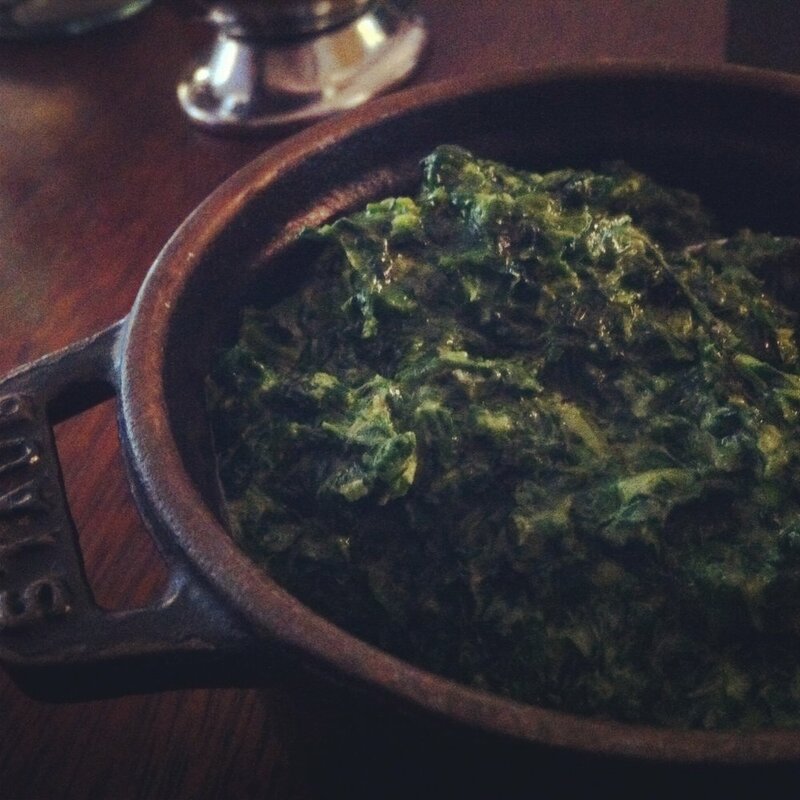 For sides, creamed spinach and the show stealer (for me), Jansson's Temptation. 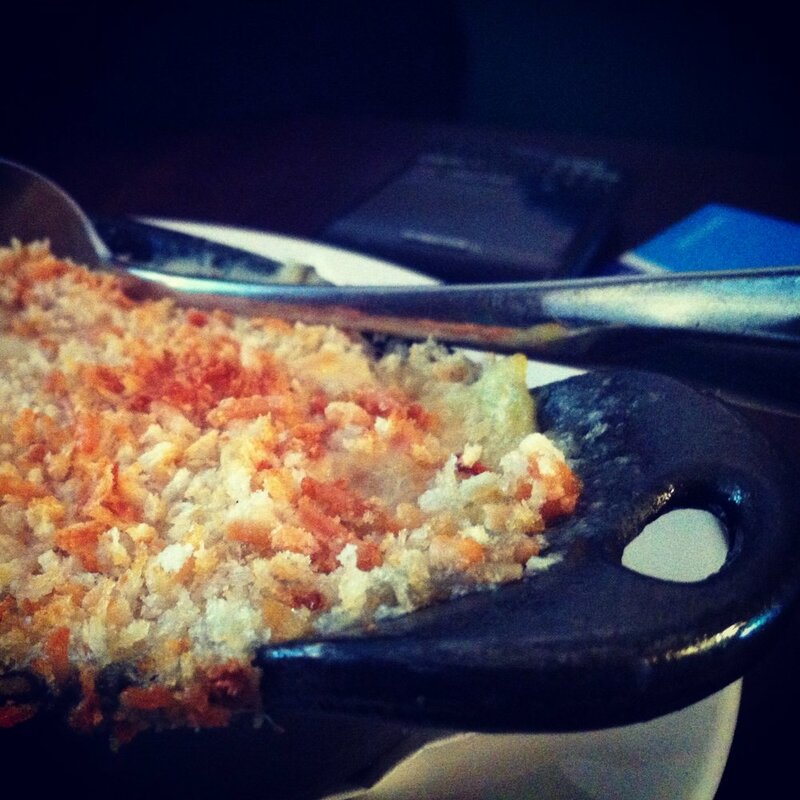 Lightly seasoned layers of potato baked with double cream and onions, topped with breadcrumbs and baked. Killer. So good, I could have eaten 2 servings, on my own. About the steak - I'm not a steak eater myself, but apparently it was excellent. All 800 gms of it were polished off rather rapidly, I have to say! I went a little wrong with dessert though. Ordered the chocolate and salted caramel cup which I found very rich, maybe a tad too salty for my liking and the base a little hard. The sticky toffee pudding though that I had a little taste of, was very very good. So overall, a very tasty meal well worth the wait, albeit expensive. And if not for the steak, go for the seafood.